To be the leading organization in the development of future design and construction professionals. To promote and enhance the delivery of the built environment by providing opportunities for continuous learning and improvement in the design, construction and industry trades through professional development and practice. The CMAA-SAC Scholarship Foundation, a 501(c)3 charitable organization, will award a limited number of scholarships to qualified students as part of the Chapter’s ongoing efforts to provide the construction and design industries with a trained, educated workforce. 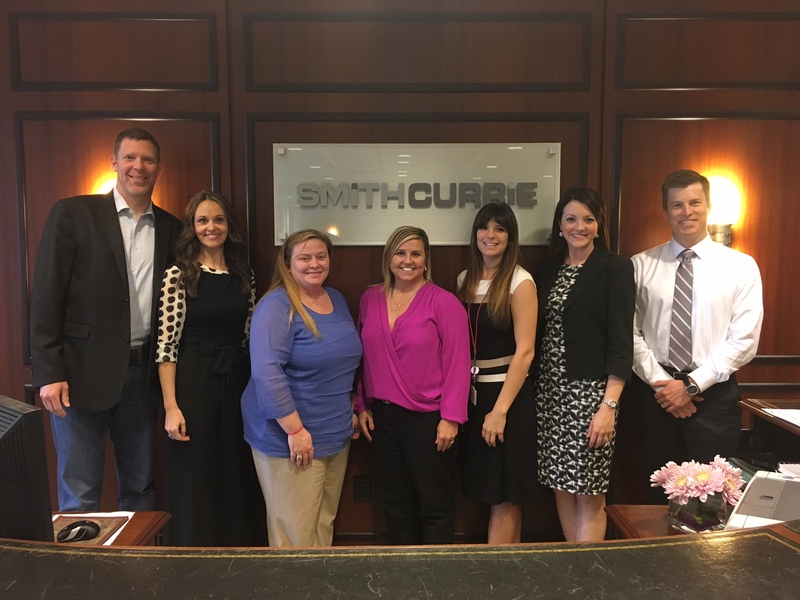 With the South Atlantic Region and most parts of the country facing a construction workforce shortage, CMAA-SAC decided the best way to help alleviate the problem was to have a dedicated foundation focused on the success, not only of students in construction and architecture programs, but those striving for trade degrees through the Technical College System of Georgia (TCSG). The goal is to promote and enhance the delivery of the built environment by providing opportunities for continuous learning and improvement in the design, construction and industry trades through professional development and practice. The CMAA-SAC Scholarship Foundation is a self-supporting scholarship program and is a 501 (c) 3 designated organization so contributions are tax deductible as a charitable donation. The criteria and process for each scholarship are detailed at the links below. This year, the Foundation has implemented a new scholarship; it will be our top scholarship given out at the CMAA-SAC Project Achievement Awards Gala, June 11, 2019. The Dylan Thomas Memorial Scholarship will be given to our top Graduate or Undergraduate candidate. 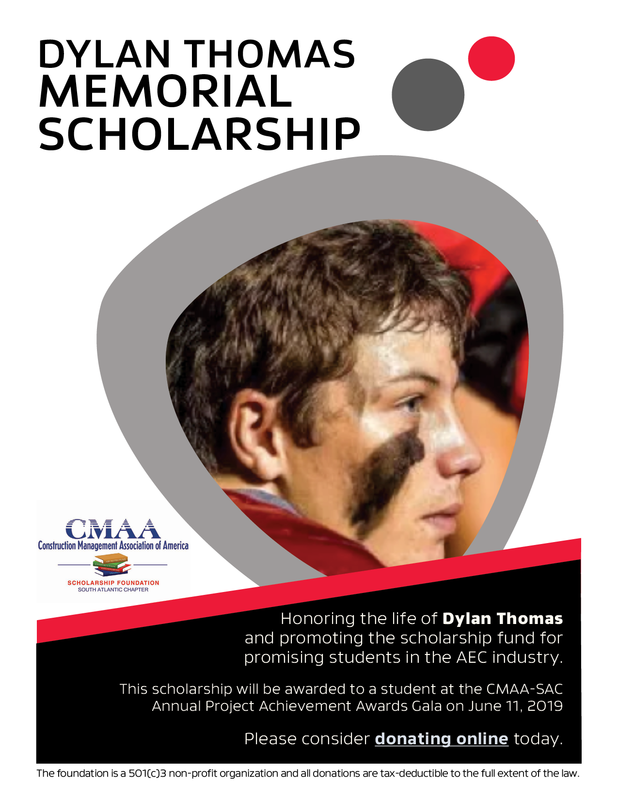 The CMAA-SAC Scholarship Foundation wanted to celebrate the life and preserve the memory of Dylan through establishing the Dylan Thomas Memorial Scholarship. Dylan Thomas was a 16-year old, Junior at Pike County High School. On September 28, 2018, he was hit and injured while playing in a local high school football game. He was taken to Grady Memorial Hospital where he underwent several surgeries, yet sadly passed away on September 30. Dylan loved playing football, cheering on the University of Miami, fishing, hunting, and spending time with his family and friends. He shared his passion for football and encouraged younger students to never give up in following their dreams. Darren Thomas, Dylan’s father, is a well respected AEC Industry associate and Director of Physical Plant Operations at Clayton State University. Darren would bring Dylan to industry events and conferences to learn about the industry and most importantly, spend “father/son” time together. As a result, many industry associates knew Dylan through his father and met or crossed paths with him at industry functions over the years. In honoring Dylan, we honor the entire Thomas family and support their initiative to create a legacy for Dylan; recognizing individuals with exceptional character and an interest in the architecture, engineering and/or construction industry.